I picked this up at the library book sale on a whim. The title sounded familiar and that was the only thought I had towards it. It is based on a true story of what happened to a group of Dutch women in Sumatra. This particular story is set in Malaya and follows the tale of a Scottish woman by the the name of Jean Paget. I had not gotten further than two pages into the story before I was hooked. That came as something of a surprise as I really had no idea what the book was about. The story is told from the point of view of a solicitor in London. It documents her journey on foot across Malaya during World War 2. On this march she meets a strapping Australian Joe Harman, who at risk to his own life, attempts to help Pagent and her fellow women out by providing food for them to eat. His good deed is discovered and punished to the point where Pagent believes he has been killed. The story was riveting, captivating and intriguing. I could feel the heat and humidity of Malaya. I was horrified by Harman's punishment and honestly felt sick to my stomach. The book was rather painful, yet not hopeless. I was surprised at its cleanliness too. On many occasions Shulte was given the opportunity to dice things up a bit, but he refrained (for which I am grateful). I'm glad for the surprise of this book. It was extremely enjoyable in a more realistic way than most books are. I highly recommend it! 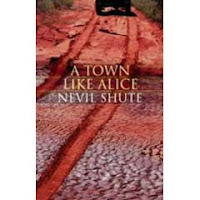 Hi see also a review of "A Town Like Alice"
My book club is looking at this in April.